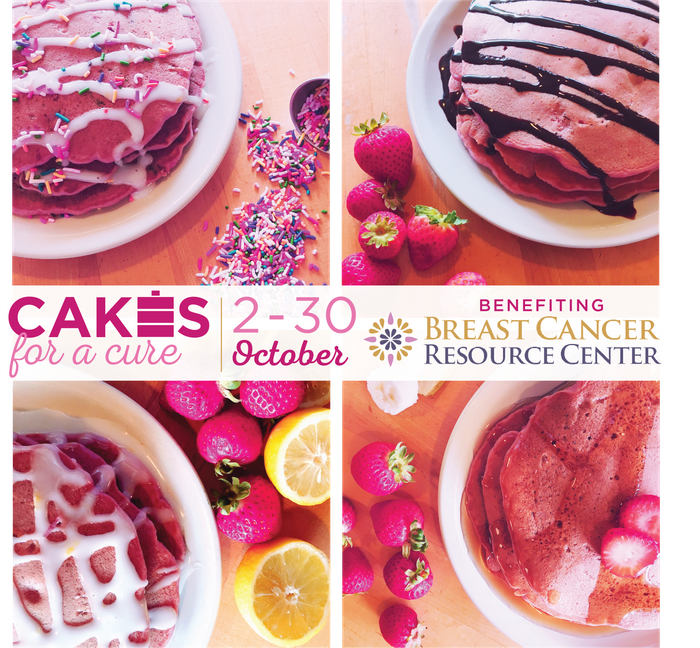 October is Breast Cancer Awareness Month, and in honor of this special cause, we partner with our friends at the Breast Cancer Resource Center for Cakes for a Cure. All month long, you can enjoy our special PINK pancakes (colored with beet juice, instead of dye) and we'll donate proceeds to BCRC. In addition, you can grab a limited edition Cakes for a Cure T-Shirt (sizes and availability limited) at any of our 7 locations while supplies last.